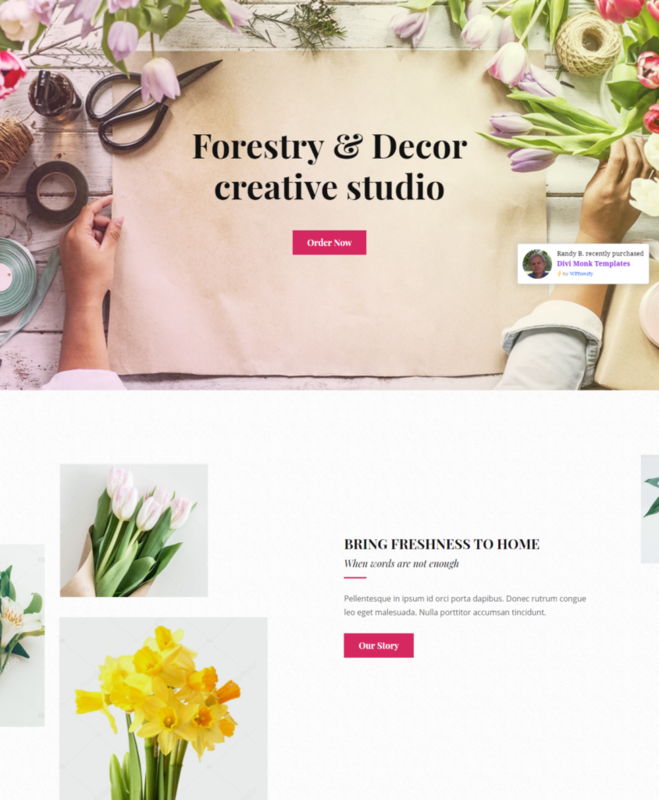 Do you run a florist business or do you want to create a beautiful floral website for your customers with Divi theme? We have got you covered with the cloud-based Divi florist template! 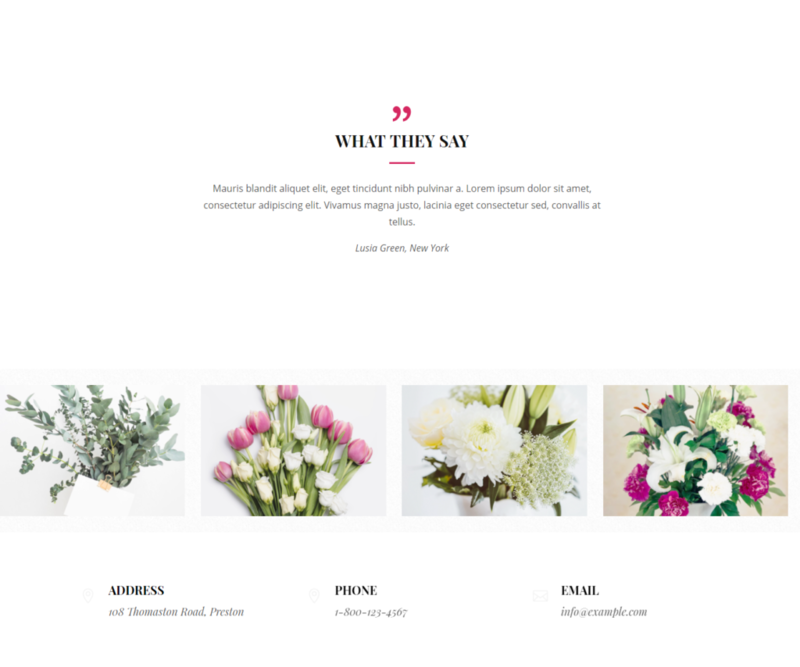 We created a beautiful florist template for you where you can showcase your flowers arrangements in their full glory. This section features the elegant hero image with a catchy tagline and a call-to-action button. This section also features the beautiful images of the flowers adjacent to the company story. Here you can present beautiful blossoms in an unforgettable way along with your company story. This section specially designed to facilitate the display of good quality visuals and content. 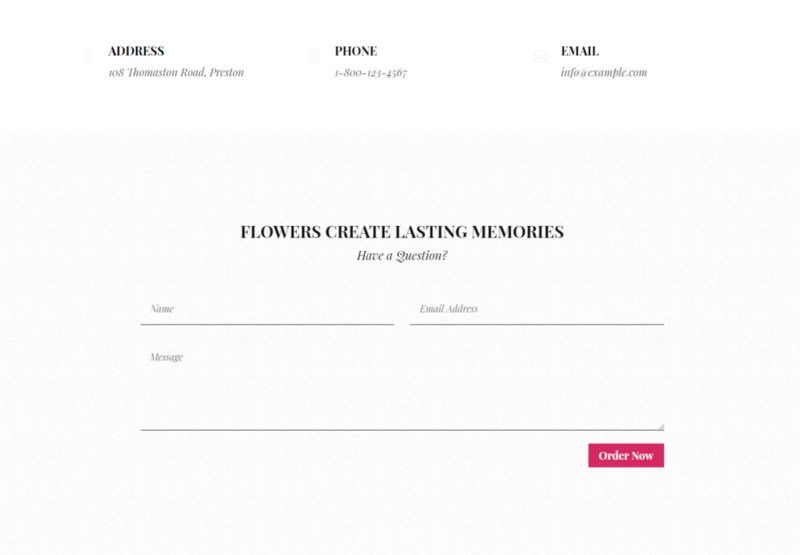 This Divi florist template can be easily customized to fit other events as well. It’s clean and flowery and can make any user happy. Besides selling the flowers if you provide your customers with any special service, we’ve covered you with an eye-catching special section on Florist business services. This section allows you to showcase your services and share the information with your customers. In this section, you also display your best selling products, and in case, a customer wants to purchase the product, he can quickly click on the call-to-action button so that he can be redirected to the billing section or any other section you like. Customer Testimonials is an important part of any business, it builds trust and makes people more willing to buy from you. This section of allows you to put your customer’s feedback related to your services and products elegantly. This section also features a 5-column layout where you again showcase pictures of your beautiful flowers. The template ends with a contact section where you can furnish your customers with contact details such as your address, contact number, email address, and other similar information. Apart from these details, the section also gives you a simple form which can help your clients or users to send you their queries, feedback, suggestions, requirement, etc. 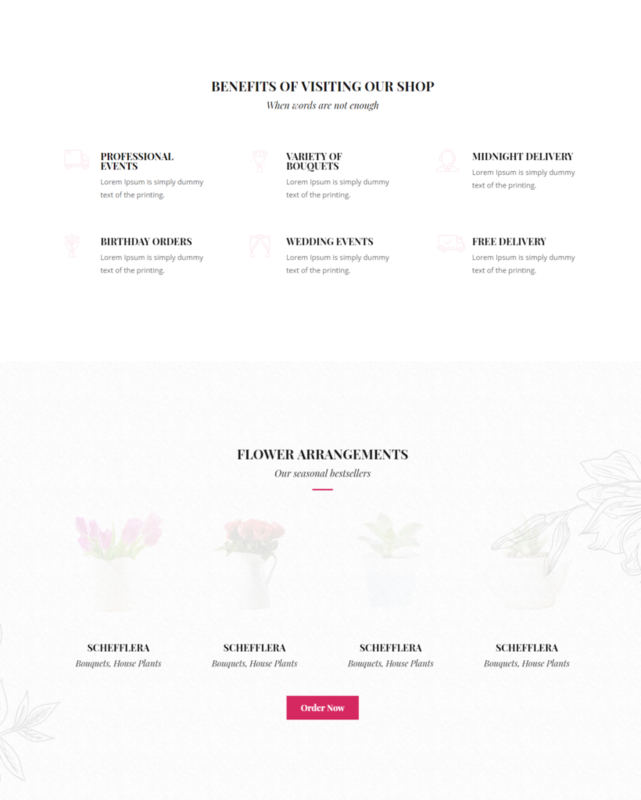 Get this Florist Layout along with 200+ other Divi Templates at an affordable price as a part of the DiviMonk Template Library. All Divi templates are cloud-based, mobile responsive, and come with multisite compatibility. Not only this, we keep adding new templates regularly. 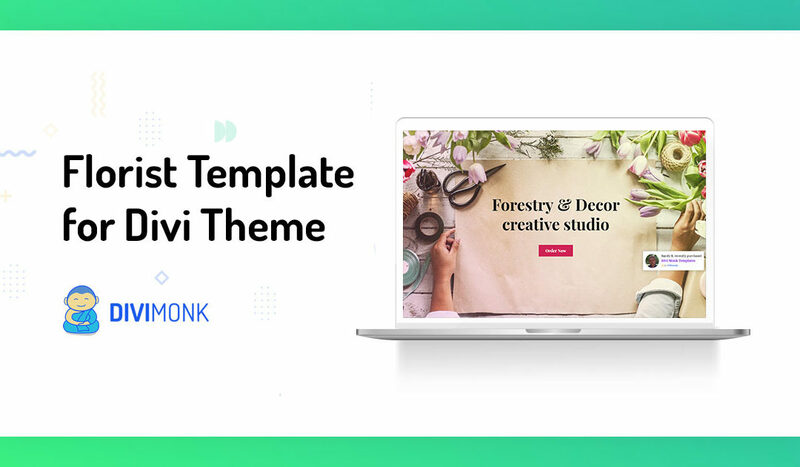 Click here to Get DiviMonk – Divi templates library. Build faster, save time, make more money with DiviMonk!